Home - Will Your Dog Reincarnate? My dog reincarnated. So can yours. My dog reincarnated. It sounds impossible, I know. But it happened. And if it can happen to me, it can happen to you. You don't have to be psychic. You don't have to have special powers. If you want your dog to reincarnate, this is where you begin. Some dogs have such strong karma that they're able to return to us on their own. But most dogs need help. Most importantly of all, they need to know we want them to come back. Even though your dog is not here with you in this dimension, he continues to exist in another dimension. So you need to reach out to him. 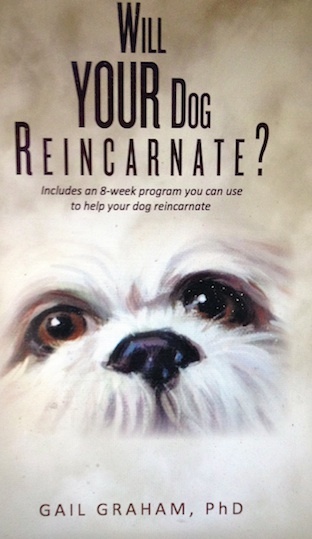 Will Your Dog Reincarnate? contains no recipes or formulas. Every life is different. Every dog is different. However, I can tell you what worked for us. And I think it will probably work for you, as well.